Weather alerts: Amber alerts heavy snow southern Norway and fog Montenegro. Weather: Fog France/Belgium/Lux/Netherlands/Germany. Fine and dry Iberia. Rain in the north, sleet/snow Poland. FRANCE. Protestors held a demonstration on the A20 at Chateauroux this afternoon. Up to 400 ‘Bonnets Rouges’ blocked the road between J12-15 for two hours this afternoon. As at 16:00 GMT there were delays of up to 1h20 in each direction though local press reports say the road should reopen ‘soon’. Update 18:00: there are still protestors on the road but the delays are down to under 20mins in each direction. Update 19:30: still going, but just a few minutes delay. 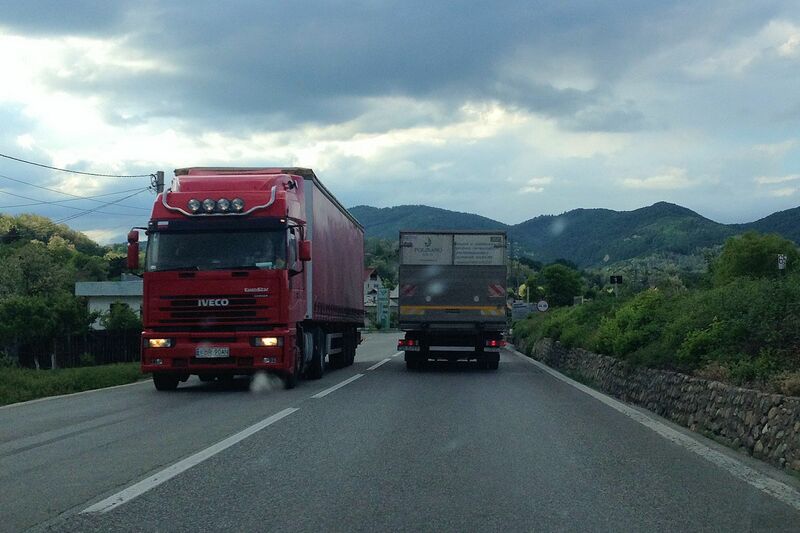 Trucks in Romania, along the Olt River valley. First foreign investors and business groups, then the President and now hauliers are vehemently objecting to the proposed rise in fuel duty. Reportedly, over 86,000 trucks are on strike today, slowing or blocking roads in and around Arad, Sibiu and Bucharest. They say they will be out indefinitely. The government has tried to reassure protestors that the increase in duty will be offset by a fall in world oil prices. Fuel duty is set to rise by 8% in April to pay for the new road building programme. Truckers also say promises to reform transport law have not been implemented. update 10.12.13: the rise in diesel duty will be postponed for three months according to local reports but will still go ahead for petrol. It’s not clear yet if this is enough to make the president and the hauliers happy. 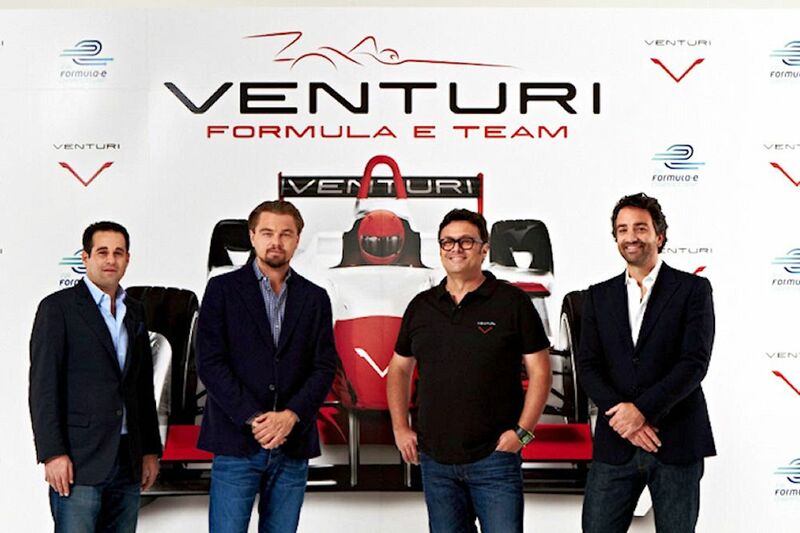 Leonardo DiCaprio today joins Richard Branson as celebrity owner of a FormulaE team, the all-electric major city-based racing series starting in 2015. There’s plenty of interest on the ownership side, less certain so far are the drivers. Former Virgin F1 driver Lucas di Grassi – now with the Audi le Mans team – does the testing this year. While decent, he’s hardly a household name. We remain sceptical that machines with the looks and performance of GP2 cars can attract top level pilots, even if the spectacle is magnified by narrow city streets. The tech might satisfy the geeks but it’s a motorsport truism that the masses need someone to cheer for. NORWAY. Far from being in imminent danger of being slashed, the amazing array of incentives for electric cars is about to be increased. In addition to no import or purchases taxes or VAT, no road tolls, use of bus lanes, free parking, ferries and charging, next year VAT for EV leasing and buying of batteries will be zero rated too. These benefits will also be extended to upcoming hydrogen fuel cell cars. The Norwegian EV car parc is on course to jump from 9,600 at end 2012 to 19,000 this year.